Can you believe this year is almost over? It's amazing how fast the days, weeks, and months go by. During the last few days of the year, I like to take time to pause and look back over my year. I go over each area of my life and take stock of how my year went. My career/business, family and relationships, health and body, personal achievements, joy and happiness levels, and money and finances. I acknowledge what I did and did not do. As I look back over the year, it allows me to appreciate and celebrate the good things that have happened, and to reflect and learn from the things that may have not been so good, so I can get clear on what I want to deliberately create in my life in the new year. Love and Luck to you. P.P.S. 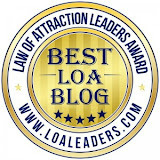 If you'd like a Free 30 minute LOA coaching session just send me an email. 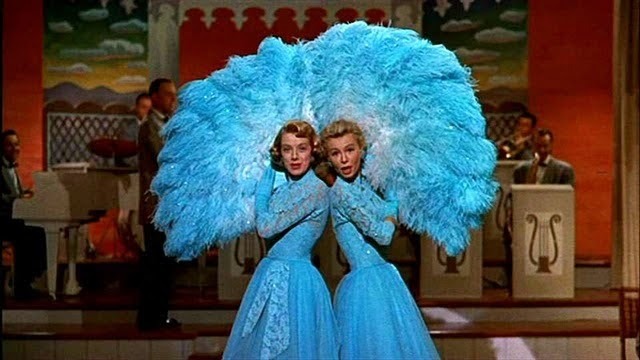 While watching one of my favorite holiday movies, White Christmas, a couple weeks ago, I realized just how many law of attraction secrets, and secrets for a lucky life were in it, so I thought I would share them with you. 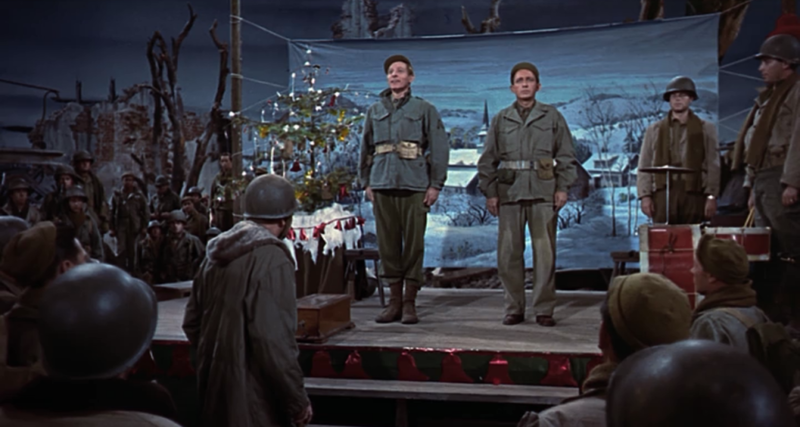 The film starts off with Phil (Danny Kaye), and Bob (Bing Crosby), practicing one of the biggest law of attraction secrets there is, finding a way to feel good now by singing, dancing, and entertaining their fellow army soldiers right in the middle of a war. Phil, asking for what he wants when he asks Bob to perform the song he's written in his act, and to let him be the other half of the duo. Phil knowing what he wants when he is asking Bob to get married, have 9 kids, and spend 5 minutes with each one so he could have 45 minutes all to himself. Bob having the belief, faith, and the expectation, that the right girl will come along someday. 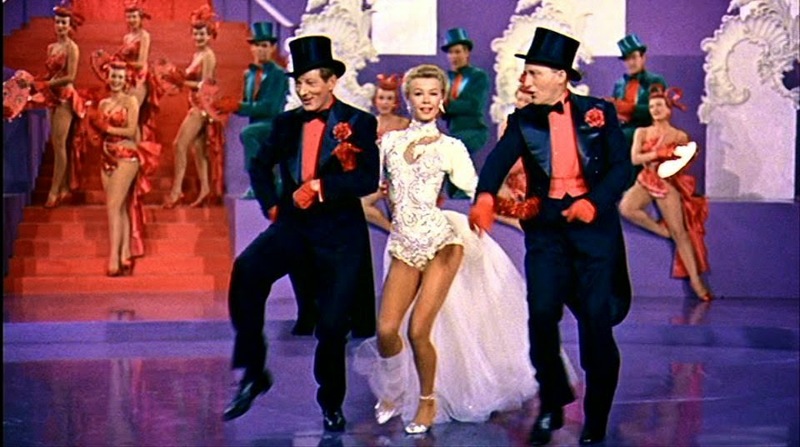 Judy (Vera Ellen), also knows what she wants and asks for it when she writes Bob asking him to come see the show. Bob's advice to Judy about the show is to "keep plugging away at it", in other words, stay committed and do all you can do. Bob takes inspired action, and gives freely with no strings attached, when he brings his whole act to the inn, and then again when he invites his fellow army buddies to come and spend Christmas at the inn to surprise and support their former General. Bob practicing gratitude when he tells Betty (Rosemary Clooney), to "count your blessings instead of sheep". In my opinion, the whole movie is about feeling good now. Singing, dancing, and taking inspired action, and if you've seen the movie you know they get exactly what they desire. Wishing you and yours a very happy holiday, and a lucky life. White Christmas images copyright Paramount Pictures. This is the story of my Christmas miracle. It happened quite a few years ago and I thought I would share it with you. 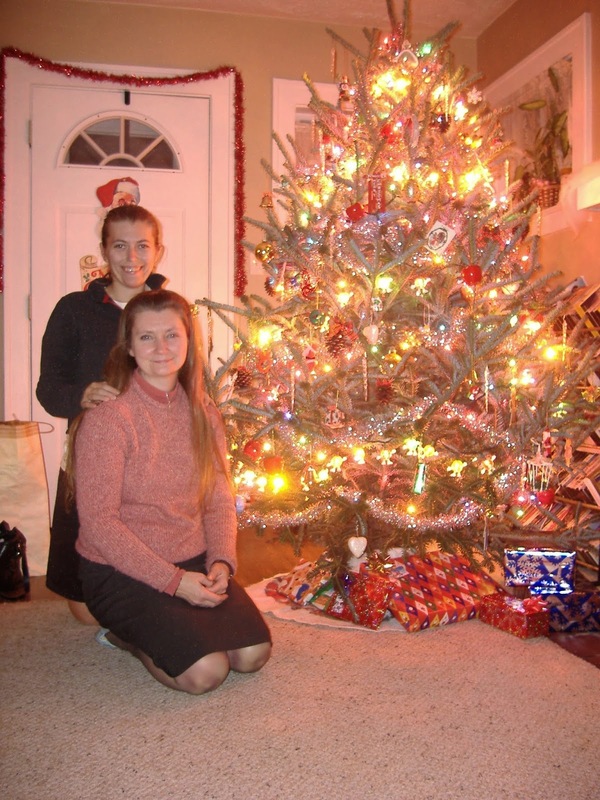 The first Christmas in our new home, my daughter and I went out and purchased a "real" Christmas tree. As we were putting it into the stand, it fell over and stabbed me in the eye. My eye immediately began to water and spasm in pain and I couldn't see properly. It throbbed all day and night. By Sunday morning my eye was swollen, wouldn’t open properly, I couldn’t see properly, and was so painful. I felt miserable and afraid that it would never stop hurting, never heal, and that my vision was permanently damaged. I did not have any insurance, nor did I have the money to go to the ER. I was feeling very discouraged. As I was showering, I became aware of what I was thinking and how much fear I was feeling. Right then and there, I examined each fearful thought and as I did, I let go of each fear and replaced it with a positive affirmation. Instead of thinking, "What if my eye doesn't heal?" I would think "My eye is healing right now", and I gave thanks that my eye was healing. This change in my thoughts made me feel better and throughout the day I kept saying "my eye is healing, I can see clearly, thank you for healing". My Sweetie came over to check on me and asked if I would like some energy on my eye. Sort of like Reiki. I said, "yes", and he put his hand over my eye. The energy was so powerful, my eyeball began to throb painfully but immediately began to feel better. When I woke up on Monday morning, my eye was totally healed. All that was left was some swelling of the eyelid and I could see clearly. I felt so much gratitude and joy, and I still do. I learned to let go of fear and trust that my eye could heal and believe it was healing. To believe, have faith and trust, that all would be well even when it didn't look or feel like it. To turn my thoughts from what I didn't want, to what I did want. I feel very blessed, and lucky. As deliberate creators we know how powerful it is to get really clear on what it is we desire. Whether its a new job, more cash, having the bills paid in full, a loving relationship, more appreciation and support, a new home, better body, weight loss, no matter what it is, getting clear on what you want is an important step. Knowing exactly how you desire it to look and feel. You can also set your intention for that very experience and start imagining and visualizing your desired results. The congratulations, the pat on the back, the handshakes, going to sleep in your new home, holding hands with your lover, stepping on the scales and seeing the number that feels good. By all means practice feeling the relief, excitement, love, prosperity, confidence, or however you believe having your desire will make you feel. Feel it real. Keep taking inspired action, doing what feels good to do now, even if it seems totally unrelated to your desired outcome. Then, LET GO. Totally let go of the outcome, the way you think it should look. LET GO of how you think it should manifest or show up. LET GO of the WHO, WHAT, WHERE, WHEN, and the HOW. Sometimes we can get so attached to the outcome, the way we want or need it to be, that we block the Universe from delivering it. LET GO of striving, pushing, pulling, and trying to arrange it yourself. That is not your job. LET GO of taking stock, keeping score, checking your progress, and watching the pot to see if it's boiling yet. The Universe may have a totally amazing, miraculous, "lucky" experience lined up for you. Don't get caught being too attached to your way, and too busy trying to make it happen yourself. LET GO and enjoy the now. Stay in the moment feeling as good as possible now. Enjoy the ride! Enjoy each day! Until next time. Increase your luck by LETTING GO. If you are looking to increase your luck in money, health, relationships, or your overall feelings of happiness, here's a secret that works. We find what we are looking for and a sure fire way to increase your "luck" is to make a habit of finding the good in everything. In every situation, every experience, there is something that is good, something that is valuable, or something that could be beneficial. As children, a lot of us were taught to notice everything that was wrong and we learned to view the world through that perspective. So whatever we are experiencing, we automatically notice what's wrong, we focus on what's wrong, we comment and complain about what's wrong, and focusing on what is wrong, the negative, our "bad luck", will only make us feel bad and just continue to create more of that. Is that what you want? Not me! I prefer feeling good, feeling lucky. Here's the good news. You can change it. Yes, you can. You can train yourself to find the good in everything. And when we find the good, it shifts us out of the resistance to what is, into a better feeling place. A place of gratitude, hope, happiness and feeling blessed, which I call feeling lucky. I believe something good can come from every experience and every situation, but you have to look for it and you have to be open to finding it. Take relationships, if you are constantly noticing what's wrong with your partner, it won't be long before you don't have a partner. Not lucky. Look for the good. Make a list of the good qualities, the things you are thankful for, what's going right. Before long, you'll notice even more. Having a health issue? Focus your thoughts on how wonderful it is that your body knows how to heal itself. How many times day in and day out, it has healed. Praise what's good about your body and health. Is your heart beating? Your lungs breathing? Can you see? Hear? Walk? Talk? There is always something good to focus on. Find the good. Are you worried about having enough money? Paying the bills? Think about all the money you've received so far this year? How many bills you have been able to pay, how many things you have been able to buy, how much you have been able to give, or share. Find the good. Find the good in everything. Is it raining? Be thankful, it could be sleet, ice, or snow. When something seems to be really going "wrong", stop and ask yourself, "what good can possibly come from this? What good do I want to come from this?" You can choose what you would like to see happen, and it can. A few months back, the credit card terminal at my shop got fried. It was a stressful situation. The processing company I was with refused to reprogram my terminal and wanted $1300. for a new one. I run a retail shop and being able to accept debit and credit cards is pretty crucial to the cash flow. I'll admit my first response was panic and fear but then I remembered to ask, what good can come from this? What would I like to see happen? I scripted what I wanted right then and there. I wanted a new terminal that was free. I wanted a processing company with great customer service, my deposits the next business day, lower processing fees. It took ten days, but I got exactly what I wanted and it's so much better than it was before my terminal got fried. Look for the good, you'll find it, and before you know it, your friends will be asking, "what's your secret, how come you are always so lucky?" Until next time. Increase your luck by looking for the good.